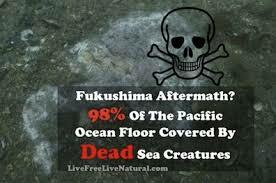 Pakalert Press » Mysterious Blob In Pacific Ocean Is Fukushima Death And It’s Coming For Us All! 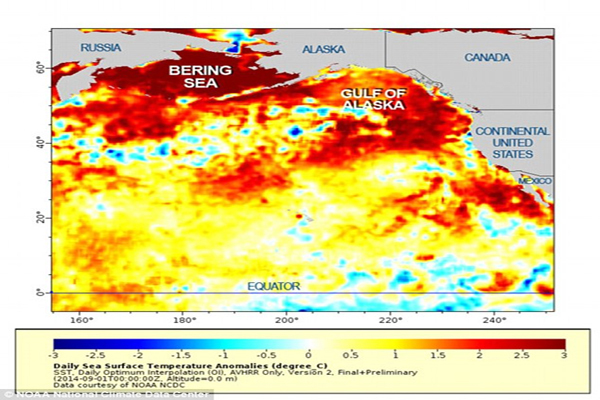 Mysterious Blob In Pacific Ocean Is Fukushima Death And It’s Coming For Us All! For the past 4+ years while the US government and the laimstream media have downplayed the devastating effects that the Fukushima disaster has had upon our oceans and our environment, the alternative media has consistently issued warnings contrary to what the msm has been telling us and with this latest Daily Mail story called ‘Mystery Blob In The Pacific Ocean Could Be Causing California’s Mega-Drought’ sharing with us that experts have NO IDEA what is causing this mystery that has been here since 2013 and is ‘driving sea creatures away’, we have to ask if they are really THAT ignorant and if this is the reason why there will soon be 240+ million LESS people living in the US in 10 years than there are now? 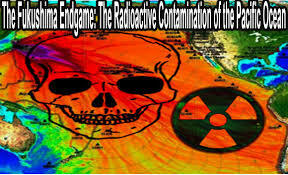 We’re thankful for outlets such as ENENews for putting out ‘life or death’ stories such as this recent one that contains a warning from government experts that there is now an ‘astounding level’ of radiation in the US from Fukushima, measuring ‘500,000 times’ the normal levels and the video below with Alex Jones and Fukushima expert Jerry Petermann who tells us that Fukushima will affect the health and well-being of the next 700 generations. While countless Californians are now dying unexplained and mysterious deaths while starfish are melting and millions and millions of sea creatures die, is humanity now really so far GONE that we can no longer put two and two together to come up with the inevitable answer of four or is this ignorance all part of the common core agenda, the MASSIVE dumbing down of the American population so that when they get smacked in the face with death, they’ll have no idea what hit them? Sadly we’ll have to say, if we as a population are really as ignorant as we appear to be, then we deserve every little bit of what’s coming our way. If we have forgotten that mankind is merely a small strand in the web and mutually dependent upon the entire web for our survival, then we deserve to learn the hard way that whatever we do to the web, we do to ourselves. Though we’ll feel sad for the millions of innocent lives that will be taken in this nuclear war upon America without the war, due to our ignorance and flippant ways, we deserve what’s coming for what we’ve done to the web of life. Dahboo7 gives us his take on the mysterious blog in the Pacific Ocean that might be responsible for the California drought. In this 3rd video Susan Duclos warned us back in February of 2014 of what was coming to the West Coast; how long will it be until all of America is inhabited by ‘dead men walking’? 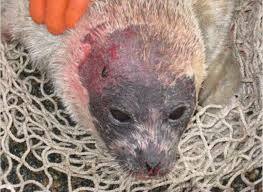 We left CA July 2012 and when we did live there during Fukushima did our best to prevent radiation. We purposely left and recommend people to leave the state. 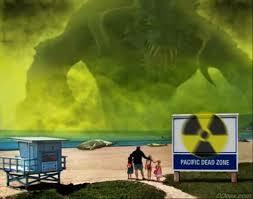 The radiation has 24 hrs, 7 days a week continued to enter CA and kill the pacific coast. Get out.